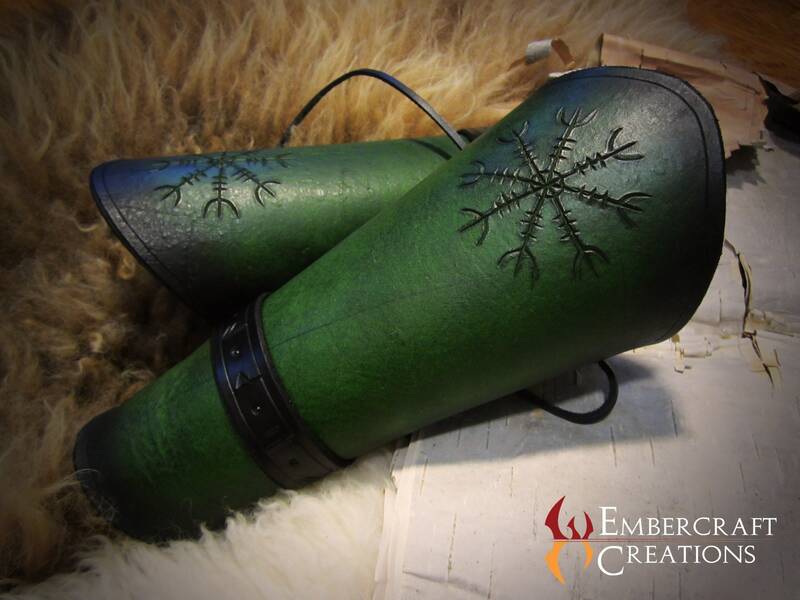 These are customizable leather bracers. 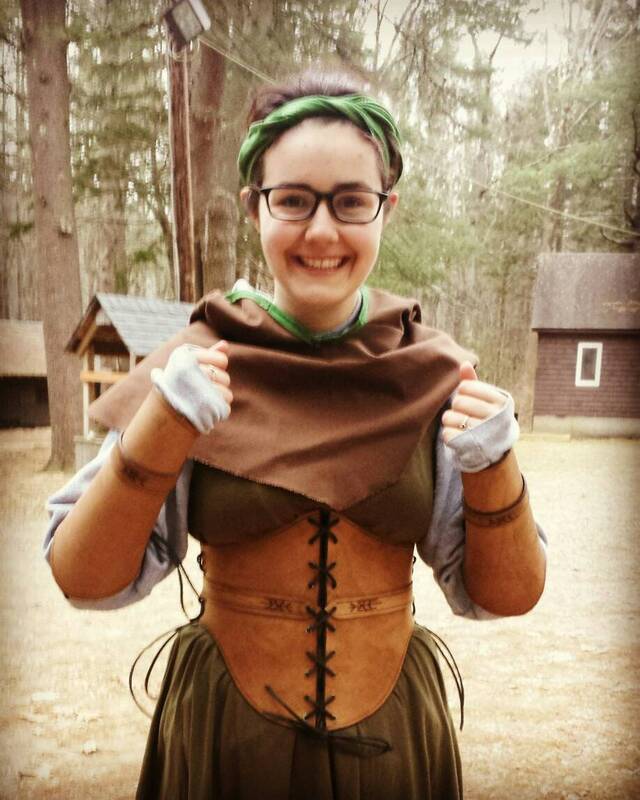 These costume pieces are perfect for LARP, SCA, Renaissance Faires, festivals, etc. Please read all of the following information to make sure you get the most out of your customized product! 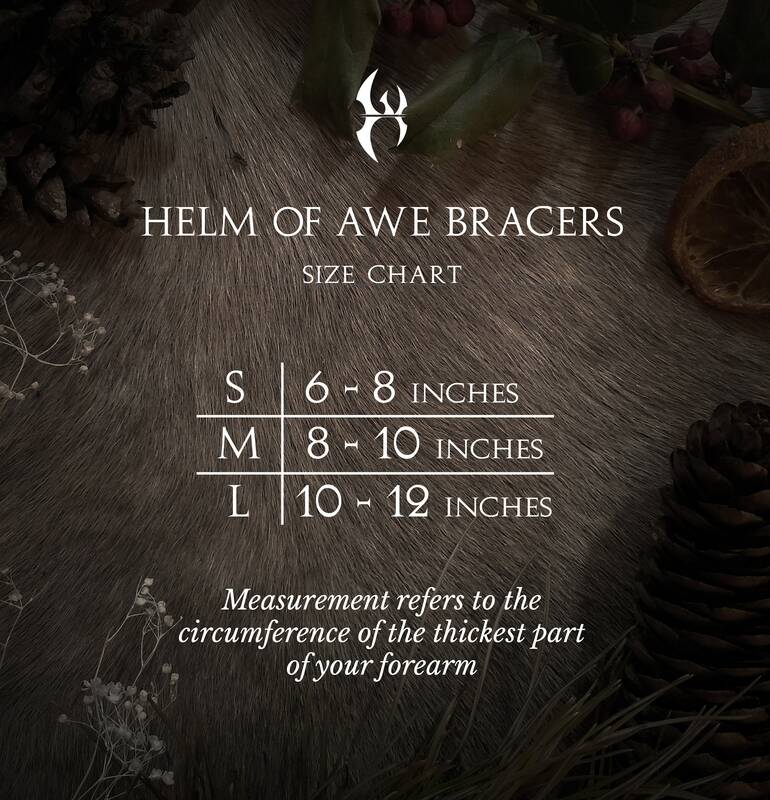 These bracers are adorned with the "Helm of Awe" magical stave. This is an ancient Icelandic magical symbol that is intended to induce fear, protect the warrior, and prevail in battle. 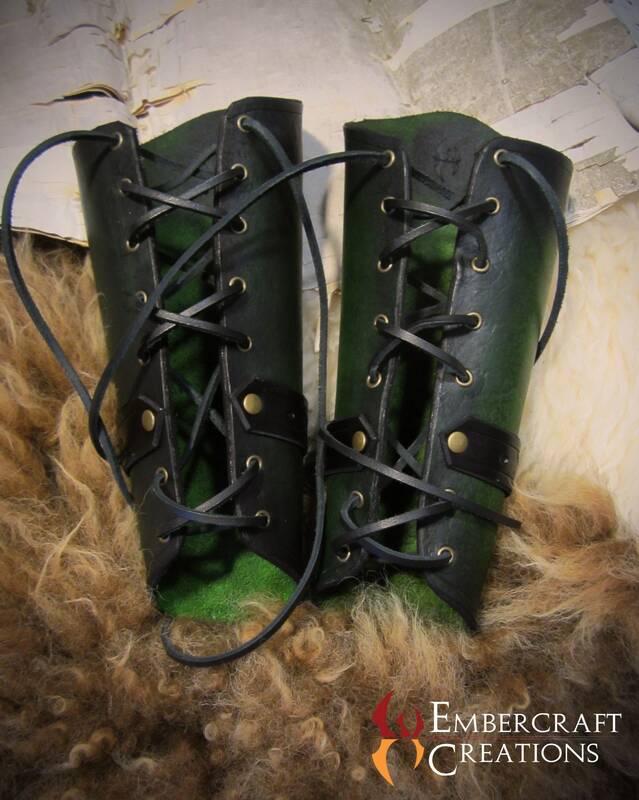 2) Choose your color: The options shown are Forest Green & Black, and Total Brown. The color of the hardware can be either silver, gold, or antiqued brass. If you have a preference on the color of hardware, mention it in the text entry box at checkout, or send me a message. 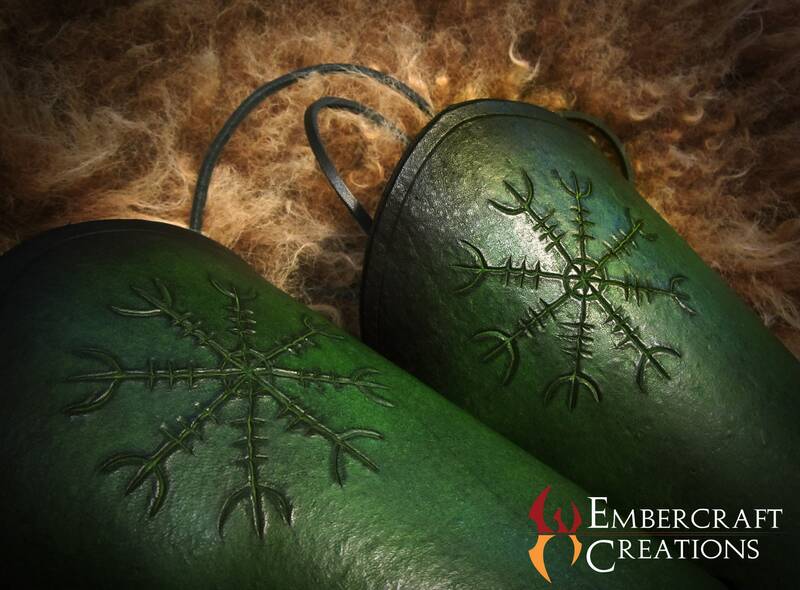 You can choose up to six runes to be carved in your bracers. 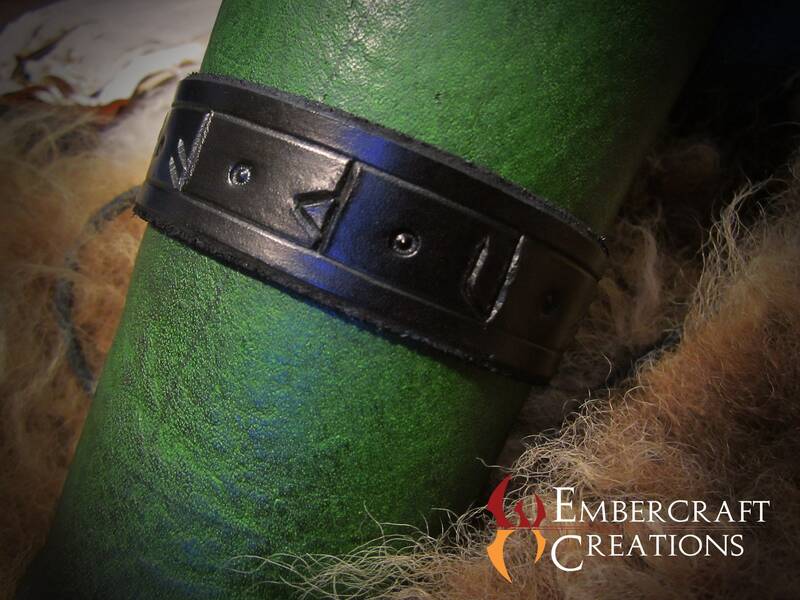 These will be carved into the band that wraps around the bracers. 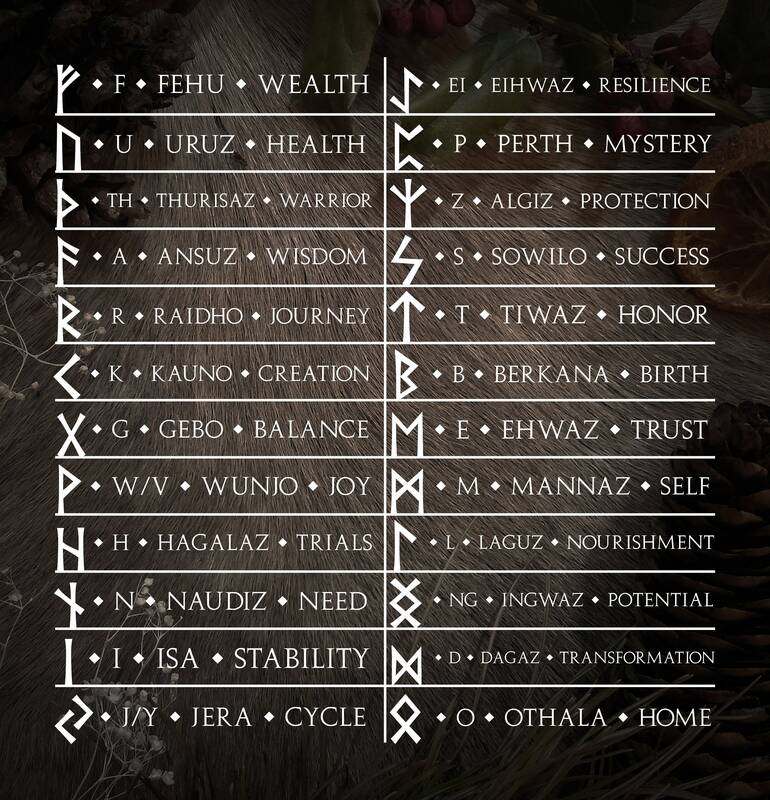 Shown is "FUTHARK", the name of the runic alphabet. 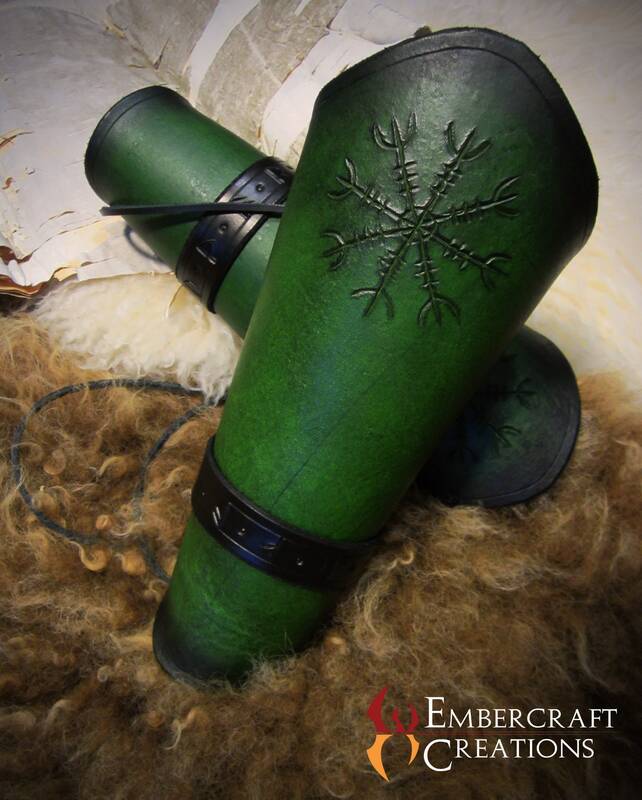 If no inscription is specified, the "FUTHARK" inscription will be the default.